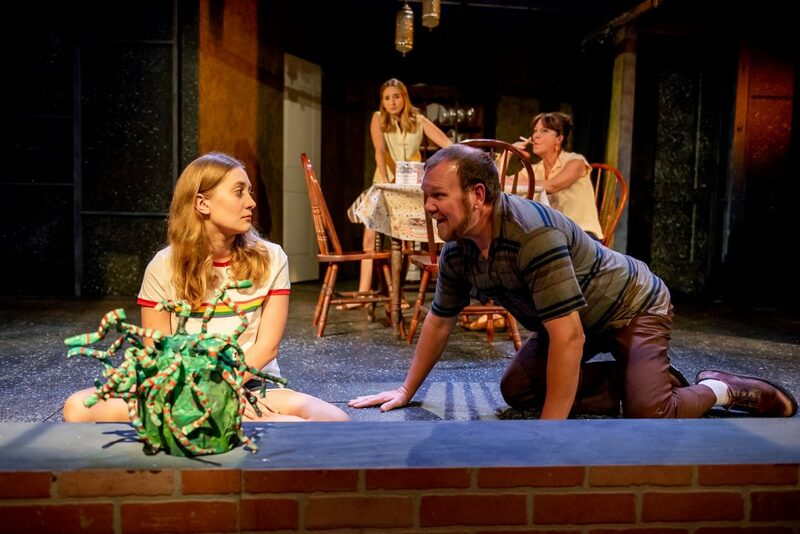 As even 14-year-old Reenie – the narrator of Tammy Ryan’s memory play, Tar Beach, now on at Florida Atlantic University’s Theatre Lab – senses, the summer of 1977 is a significant time, particularly for her coming-of-age in her hometown of Ozone Park, Queens. Amid a sweltering heat wave, serial killer Son of Sam lurks about, terrorizing teenage girls. Just as frightening is the citywide power blackout, which triggers looting and other chaotic lawlessness. Meanwhile, Reenie’s father, Roger, has been laid off from his blue-collar job, which only intensifies the alcoholic bickering between him and his embittered wife, Brigit. All of this comes to a boil one night – at least as Reenie recalls it – the night that her older sister, Mary Claire, and her chubby playmate, Mary Frances, scheme to escape from their tar paper roof refuge – the eponymous “tar beach” – for relatively exotic Rockaway Beach. But first they have to lie to their parents, telling them each is going to sleep over at the other’s house, instead of the sexually charged adventure they envision with some neighborhood boys. Complicating matters is Roger’s insistence that Mary Claire take Reenie along on the sleepover. So Tar Beach is a mash-up of a dysfunctional family play and a portrait of the artist as a young woman play, for poetic Reenie not only pours her most intimate thoughts into her diary, but she lugs around a Medusa mask she crafted in school, which conveniently lends the play some mythology heft. Theatre Lab’s new artistic director Matt Stabile takes on the casting challenge of finding three young actresses to carry the production. As Reenie, FAU grad Abby Nigro isn’t quite convincing as a 14-year-old, but she handles well the character’s many monologues and draws plenty of audience empathy, particularly after her traumatic night of the blackout. As her older sister Mary Claire, Krystal Millie Valdes is aptly conniving, squabbling with her sib and jockeying for their father’s affection. Amy Coker, Mary Claire’s sidekick, is the intruder to the family unit who pops in occasionally, but feels tangential to the central action. Although their roles are secondary, David A. Hyland and Niki Fridh lend welcome support as the skirmishing parents. Hyland’s Roger knows he is headed for a battle royal with the long stressed-out Brigit over his job loss, so he leads with his own bellowing resentments. Brigit seems to fade into the kitchen set early on, but she gets an 11th-hour aria of her inner feelings that Fridh – the cast’s only Equity performer – delivers deftly. 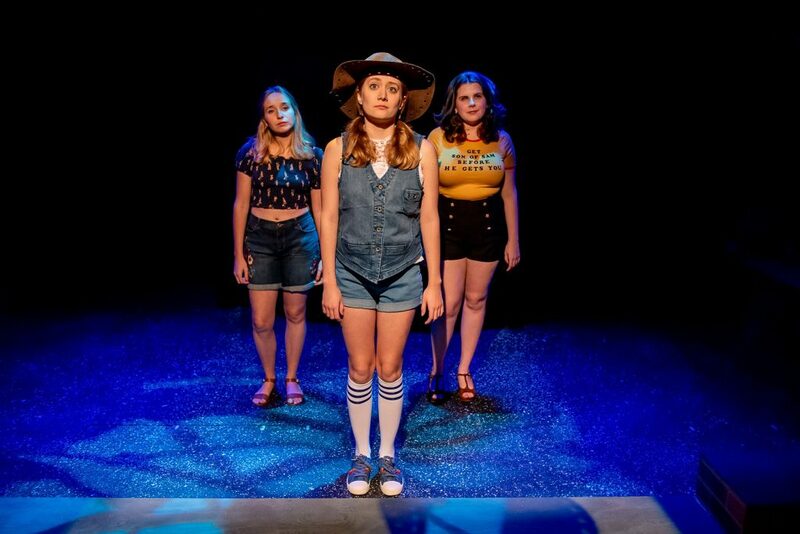 There is plenty to appreciate in Tar Beach, but for its third full production, albeit the Southeastern premiere, there seem to be a few too many loose ends and ambiguities for its own good. TAR BEACH, FAU Theatre Lab, Parliament Hall, Florida Atlantic University campus, 777 Glades Road, Boca Raton. Through Sunday, Dec. 16. $35, 561-297-6124 or visit www.fauevents.com.